When dealing with flood damage cleanup, one of the first things to consider is what type of water has flooded your home or business. Because a broken pipe or supply line flood is going to be treated differently from groundwater. The reason for this is because of the number of contaminants and bacteria found in “Natural Floods” or groundwater. When you have water intrusion from outside, consider everything else the water carries with it as the water enters your home; oil, chemicals, gasoline, fertilizer, sewage, road salts, sand, and much more. For this reason, groundwater is much more seriously. HOW DO YOU CLEAN UP FLOOD DAMAGE? Staying in line with the information above, let’s first determine what type of water has flooded the structure. For this instance, let’s say you have outside groundwater flooding your home or business. First Restoration Services treats groundwater like sewage because of contamination with bacteria, sewage and everything else found in the water. That being the case, once the standing water has been removed, the next step would be to remove the building materials affected by the groundwater. You need to remove the porous building materials that were touched by the groundwater because they are potentially contaminated. Some building materials can be disinfected with an anti-microbial solution. Once this is complete, you can begin the drying process. We won’t go into drying a structure because that is a whole discussion of its own. 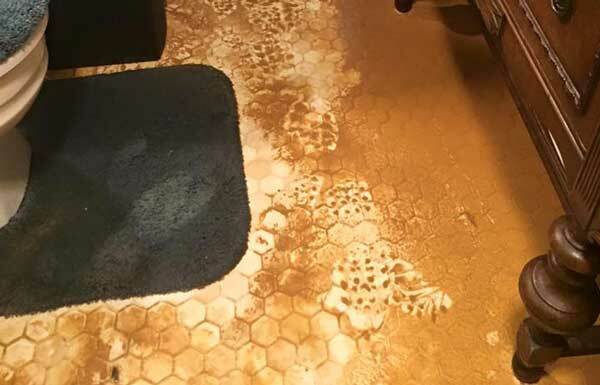 Once you complete the drying process, you then want to spray an anti-bacterial down on all affected areas and where the building materials were removed. At times, you want to test the area to make sure it is sanitized. A third party industrial hygienist can test the area and supply results to confirm there are no bacteria. Once all these steps are complete, you can begin the rebuilding process for any building materials that have been removed. If you think you might need flood insurance check out the FEMA Flood Insurance Program. For more information on Flood Damage Cleanup, you can see what the IICRC has to say here. The IICRC write the standards for the Restoration Industry. If you have any flood damage needs in Asheville, Hendersonville, or Brevard NC, call First Restoration Services and we can help you.